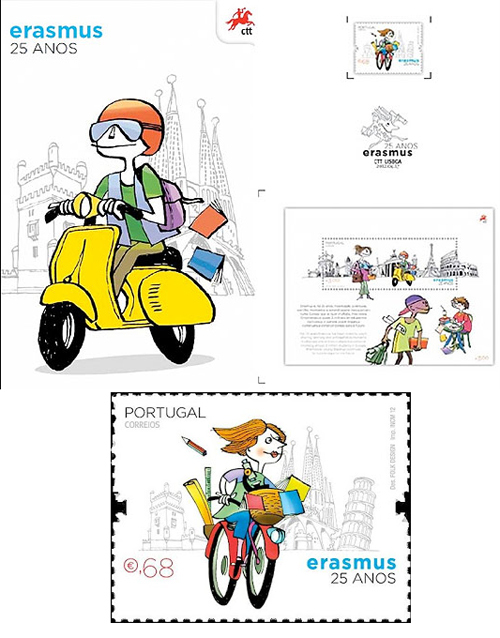 Here’s a stamp set from Portugal celebrating the 25th Anniversary of Erasmus College. 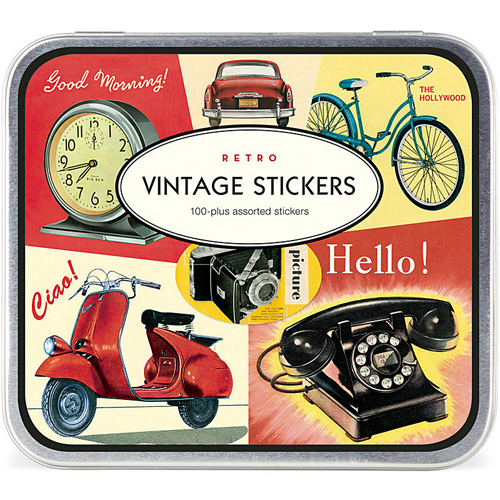 For $14.95 you can get a tin full of 100 assorted retro stickers including a great fenderlight Vespa image. 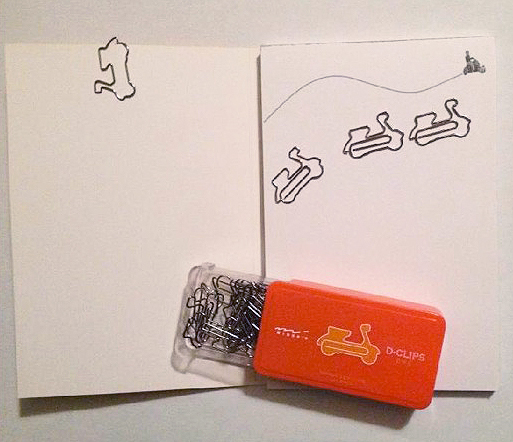 The stickers would work great for card making, scrapbooking, gift wrapping and more. 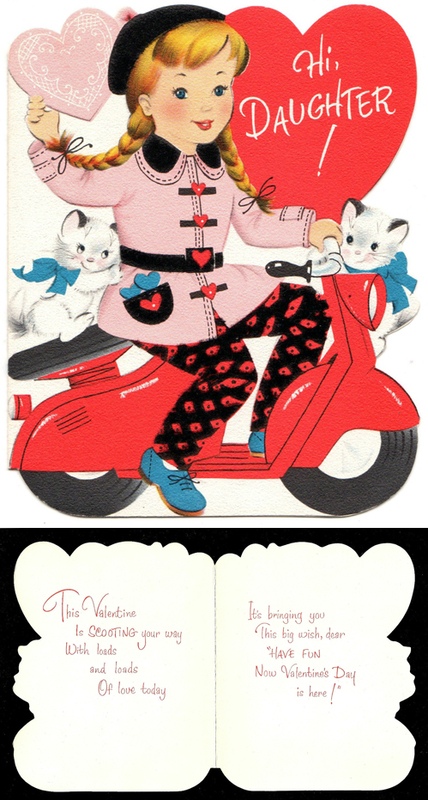 The images are printed on cream paper stock and the tin measures 4 3/4″ X 5 1/4″. 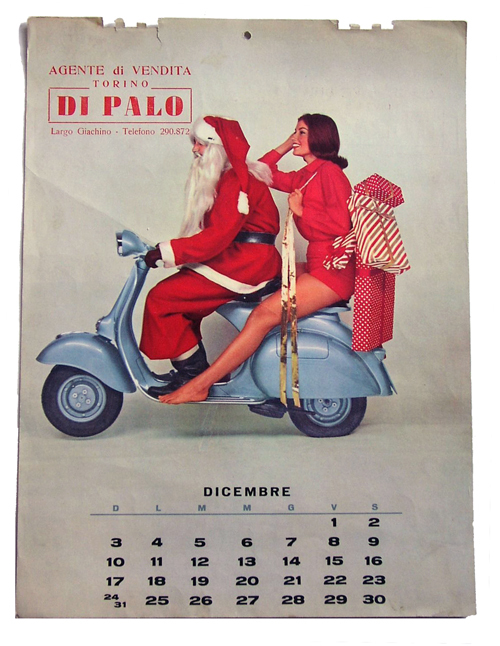 Tired of only finding vintage Vespa swag? Here you go. All of these are at Joann’s Fabrics and prices range from $1.99 to $5.29 here and here and here . The illustration comes from a mid-century children’s book and man oh man would I love to know what book that is. This charming traffic scene makes me want to hop on a plane right now and smell all the lovely exhaust. The illustrator is Peter Donnelly and this artwork can be purchased as an unframed or framed art print or on a stretched canvas in assorted sizes. 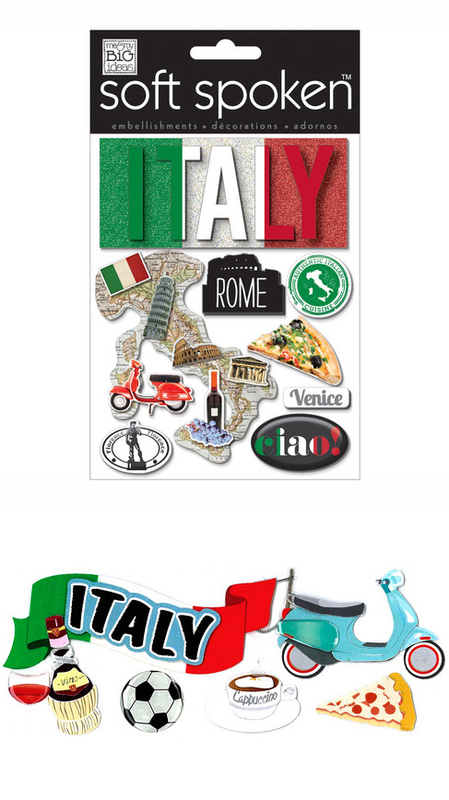 You can also buy it on greeting cards or as iPhone/iPod cases or skins. Prices range from $12.00 for a set of 3 cards to $150.00 for a 24″ x 35″ stretched canvas. Thanks to the great site retrotogo.com for this find. Buy Peter Donnelly’s London Traffic print at Society 6. 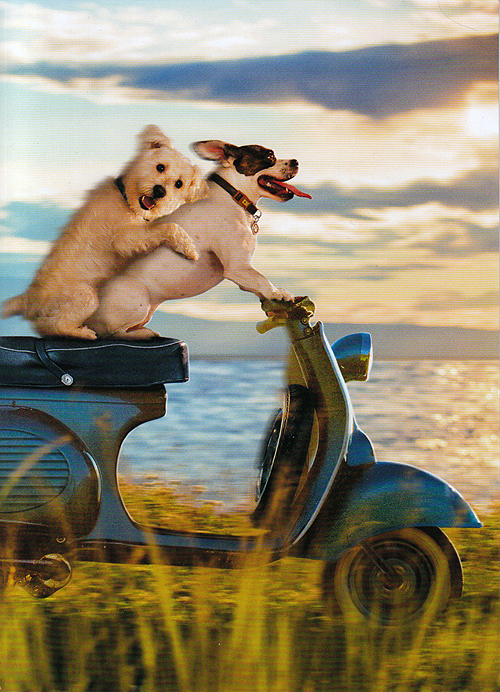 Every now and then I would stumble upon a scooter card featuring dogs. And I would think “Man, someone at Avanti likes dogs and scooters.” Then I began to think “I bet the photographer is a scooterist and sells them these images and then a writer comes up with the lines.” The other thought I had was “I bet they Photoshop the h*ll out of these photos. The dogs aren’t even sitting on a scooter.” Yes, I do have OCD. Why do you ask? 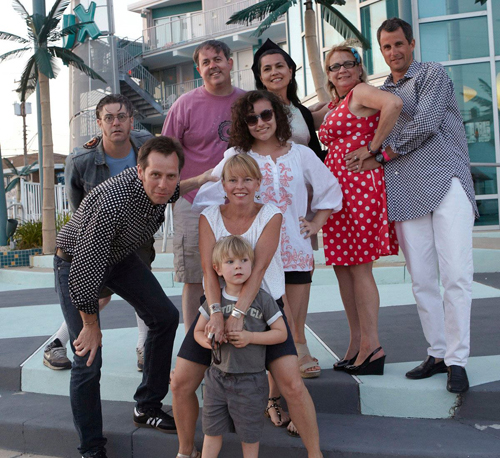 Well after interviewing the charming New York based photographer Allen Wallace I realized I was wrong about everything. The most recent Avanti card (on top) listed a name. So I Googled it and found Allen who has a very interesting story. Yes, he was a scooterist. (More on that later.) No, Avanti comes to him with the idea in a tight sketch and then he executes the photo. No, no one at Avanti is scooter crazy. This is marketing folks. They know people like dogs and people like scooters. And no, those images are barely Photoshopped. Stunned? So was I. Allen says he hired professional dogs who will do things like wear goggles and sit on scooters. Usually there are handlers holding the dogs that get edited out later. 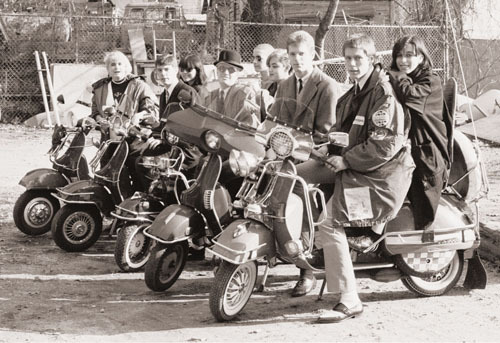 The only thing that really gets Photoshopped are the scooters themselves. 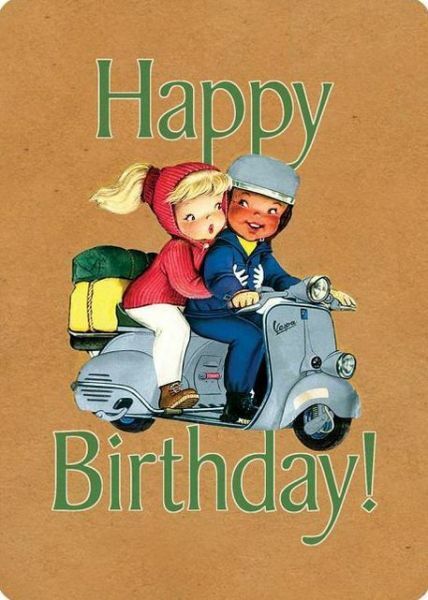 They change just enough of the scooter’s details to avoid problems with Piaggio. Of course Allen does more than just photograph dogs on scooters. He works with ad agencies, magazines and so on to earn his bread. 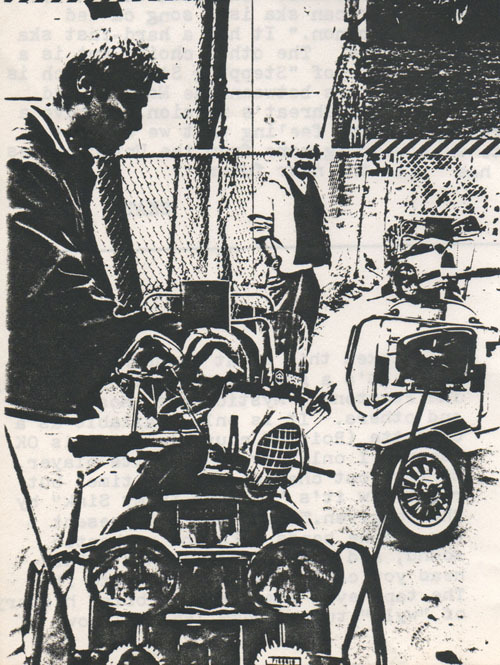 But long before the photography gig he was a proud member of the scooter club “Dozens Like Us” based in Washington D.C. (That’s him in the front in the first photo and in the polka dots in the second.) 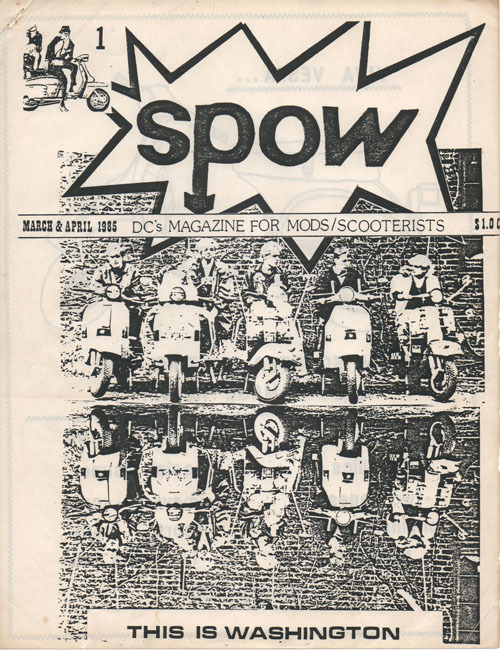 He was also a scooter mechanic at a shop called “Big Wheel Bikes.” And he put together a mod zine called “Spow” that some of you may remember. (See delicious vintage 1984 Xeroxs above.) In fact putting together Spow is what got him into photography. 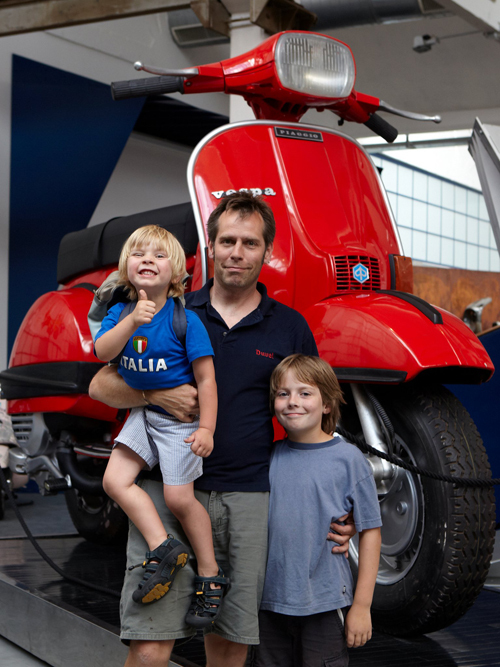 Allen and his kids at the Piaggio Vespa Museum. 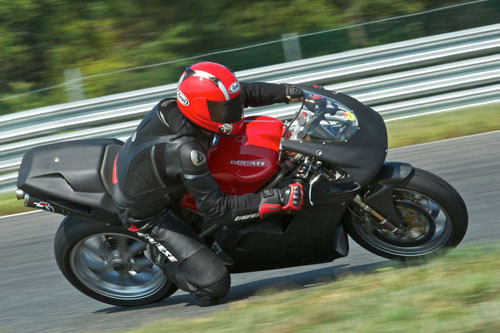 Although Allen is more akin to racing motorcycles these days, his scooter heritage runs deep and he still attended scooter events. He’s also working on a creative project of photographing owners with their scooters. So if you’re on the East Coast and have a rad scooter, shoot him an e-mail at studio (at) allenwallace.com. 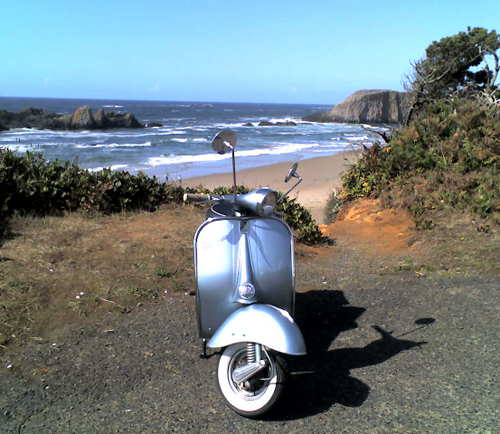 To see some of the photos he’s already taken, visit his scooter portfolio here. ScooterSwag featured these adorable clips back in 2011. But just this week I had not one but two Swaggers ask me if I had ever put them up. Which led me to think that you all needed to see them again. A box of 30 is $7.25. One note: for some reason they call these “bike” clips and not scooter clips. Thanks to Steven S. and Phillip G. for the reminder!